Alappuzha or the land of backwaters leaving the Arabian sea on the west and intertwined with vast numbers of lakes, lagoons and streams is a favourite place among the travellers who come here to explore from India and abroad. The name of Alappuzha portrays the picture of its surroundings.If we decipher the name then we get Ala as broad and puzha as river. So, it is a land of streams and lagoons.This is home to various birds and animals. Famous for its coir industry this place offers with other major sightseeings as well. The houseboats, the backwater, the beaches and some of the marine products make Alappuzha the favourite tourist spot of Kerala. 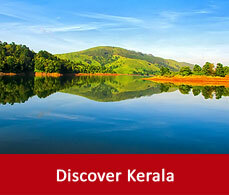 Plan your holiday and with the aid of some tour packages explore these favourite destinations. But to chalk out your holiday more vividly some of the major Alleppey tourist places has been displayed in front of you. 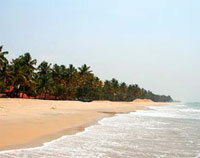 The sandy beaches opens into the calm water of the sea giving a replenishing retreat to its travellers. 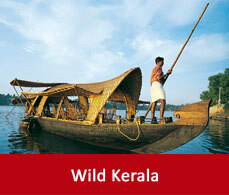 It is famous for its sun bathed beaches, refreshing backwater, the famous Kerala boat race and backwater holidays. The sandy stretch of land that merges with the sea is 137 years old. The Vijaya Beach Park dwelling in the beach is a major attraction as it hosts various entertainment facilities and rides for the enthusiastic travellers. The houseboats of Alleppey deserves special mention here. You can enjoy your houseboat holidays by staying in a Kettuvalam style houseboat. The Kettuvalam means boats with knots and its is named so as in the age old times the boats were tied with coir and knots only. Many houseboat packages are available and by staying on the waves of waters repose your soul. 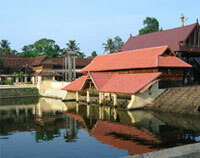 This temple in the Alappuzha district is designed in the Keralian architecture. The palpayyasam, a sweet milk porridge which is offered to the deities here is also very renowned. Paintings of the ten incarnations of Lord Vishnu has glorified the inner walls of the temples. Pallipanas which is performed by Velans once in every twelve years is also hosted in this temple. 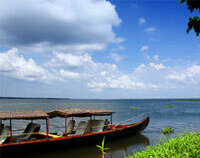 So, this destinations is a heritage of the Alappuzha tourist places. 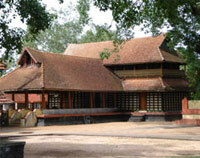 This palace is the residence of the rulers of the Kayamkulam kingdom. 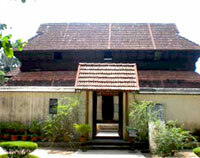 This is a hub of the age old architectures of Kerala. The narrow corridors and the walls of the palace are the specimen of the intelligence of the architect of age old times. One of the major historical attractions which is preserved here is the 49sq.m. Gajendra Moksha painting which is the largest single band painting. It is now an archeological museum and many antique collections of bronze paintings and sculptures is preserved here. This is one of the oldest of the seven churches of St.Thomas established in A.D.427. Situated on the west bank of river Pamba they hold the annual feast on 3rd Sunday of October every year. On March 19 of every year the feast of St.Joseph is celebrated. In a nearby place the wooden statues of Christ are sculpted and is exported all over the world. 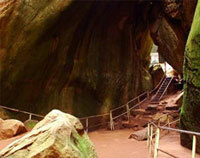 If you want know the habits and habitats of our ancestors then Eddakal caves is the best place to visit. Here you will be able to hover over some of the 7000 years old paintings, inscriptions of languages, symbols, pictures and many more. It is in Ambukuthi hills in North Kerala. 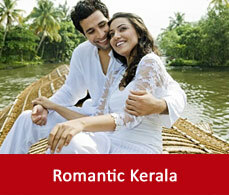 It is one of the interesting among all the tourist spots in Kerala. 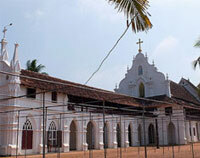 This temple is nestled in the heart of the Alleppey town. This is a temple which hosts many architectures of Kerala. The walls of this temple is all jewelled up with oil lamps and when in the evenings the lamps are lighted up then the look of the temple is more glorified.